Some of you know Nicholas Tse as an actor, starring in Hong Kong films like Gen-X Cops and New Police Story. Some of you may know him as a musician and artist, putting out chart topping singles for the past 15 years. Many of you may not even know him at all. However, aside from being a pop star and HK icon, Tse is actually the CEO of the billion dollar company, Post Production Office Limited, the largest special effects company in Hong Kong. 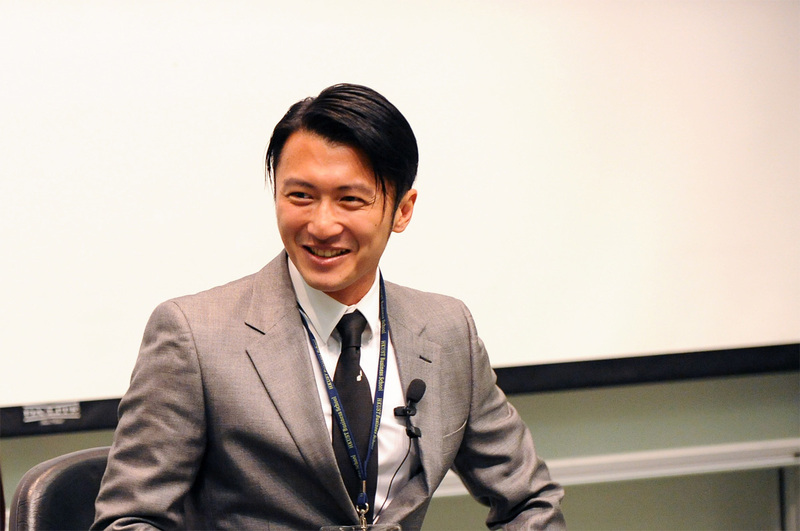 The HKUST Business School conducted an interview and case study on Tse in January and I want to share some of my greatest takeaways from his leadership and inspirational teachings. Nicholas Tse founded Post Production Office Limited in 2003, when he was only 23 years old because he wanted to learn something new and apart from his core business of singing, acting and dancing. He wanted to go into the business of special effects and by utilizing his extensive network in the entertainment industry, he was able to leverage these relationships in order to create an extension of himself and a new business altogether. He encourages others to follow him in learning to grow and develop in areas outside your actual profession without leaving it completely. By seeking ways to link new ideas to what you are already good at, you are given the opportunity to improve your existing strengths while creating new ones entirely. Tse talks about the importance of having the guts to take necessary gambles throughout your career. However, by making sure that these gambles are actually “calculated risks” you create a safety net for yourself to protect your best interests in the long run. When he wanted to start his own business in 2003, he sold his house and took on a large amount of debt in order to get the ball rolling. Having the courage to put everything you have on the line was worth it for him, but he teaches budding entrepreneurs to make sure they are doing it for the right reasons and that they understand what they are getting themselves into before taking such giant leaps. Through Tse’s calculated risks, Post Production Office is now one of the leading special effects companies in Hong Kong with branches opening in Shanghai and Beijing. With respects to leadership and being a good boss in general, Tse stresses the importance of building a strong corporate culture and eliminating strict heirarchies. Together with his staff, he hosts and participates company sporting events, cooking gatherings and even company vacations. An investment in building a happy and strongly connected team is one that yields high returns. After all the fun is over, everyone goes back to work and puts in even more effort because there is such a high level of mutual respect. Tse’s inspirational teachings extend way beyond the concepts of just how to be a good leader. He also talks about the importance of finding your true passion. You have to be honest to yourself and figure out what you actually want to do with your life. “Really be honest with yourself. Know what you love the most, have the most passion for, and do not lie. You can sleep on a lie forever but then you will never be good enough at it because you don’t love it.” In order to become successful in what you are doing, you have to love it enough to devote and dedicate yourself to it one hundred percent. You need to be willing to make sacrifices for things you may like to make way for the dream that you love, to happen. Finally, Tse touches base on the idea that one should never duplicate or replicate. Rather than following the footsteps and shadows of others, create your own for others to follow.